Raya is around the corner . Two more days we will be meeting Syawal . Insyaallah . 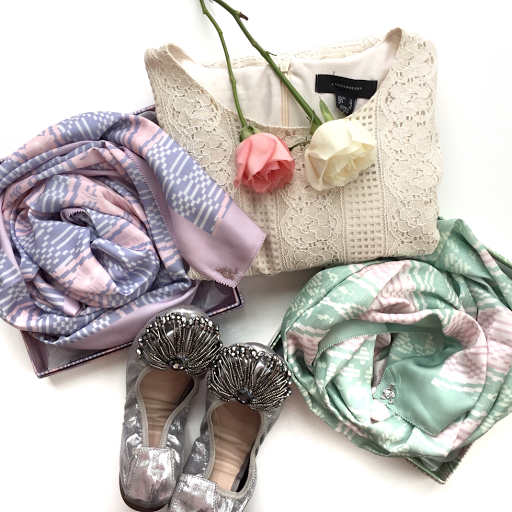 Have you bought a shawl or scarf to be matched with your baju raya ? What pattern of shawl or scarf in your shopping list? Printed or plain ? What brand of shawl or scarf you choose ? I notice that this year Hari Raya . 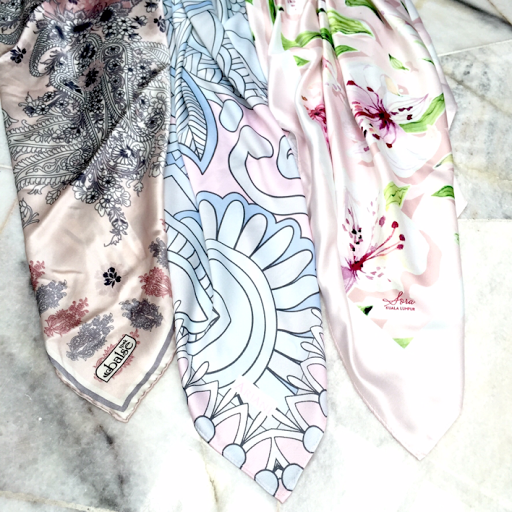 The printed scarf or shawl is the most favourable among women . Regardless the abstract pattern or flower pattern . Let's see the most favourable shawl or scarf brands this 2016 Hari Raya . These three brands are the brands that I choose without I notice it . Apa orang kata terjebak . It's just happened . Hahaha . Have you ever heard about this brand ? Do you know Fashion Valet ? Do you know Vivy Yusof ? If you heard this two name you probably heard about Duck . Duck is the most favourable brand among women . The range price of Duck shawl is between RM 130 - RM 300 . The price is quite expensive, right? But , don't be surprise . Every time , Duck released their new collection especially the Limited Edition/printed it will be out of stock in the blink of your eyes . Women really crazy about this Duck . It includes me too . Hahaha . Before I met Duck , I'm not a person who willingly be spending my money just for a shawl . Maximum price that is acceptable for me is RM 100 . After I found Duck , I don't even notice that I like this brand slowly. Hahaha . I'm also not a collector of Duck shawl that can build a Duck tower as seen in Instagram . But , seriously I do love all the Duck Limited Edition or known as Printed too . I love all the designs in Blooming Duck collection but I did not manage to get it because it is so expensive . Its price was RM230 that time . What makes me surprise about Duck is the value of it . Let me share with you the powerful of this Duck name . Hihihi . If you bought one Duck shawl and you think the colors of the shawl did not match with your skin or you don't like the material , etc . You can sell it to anyone who interested with that shawl . Or else you can swap with anyone who wants it . Trust me. A lot of women queue for it . Chased for it . And , I did that either . Hahaha .That's how Duck get the high most favourable brand . I've used to have four duck scarves . But , I let go three scarves due to the colors do not match with my skin . Now, the only one that I have is The KL city Duck . I've bought it because it's unique design and the design represents our country as well . Such a patriotism right? This 2016 Hari Raya , Duck released " The Songket Duck " . This design really catches my eyes . So beautiful !!!! Automatically , I feel I must buy these collections . Hahaha . 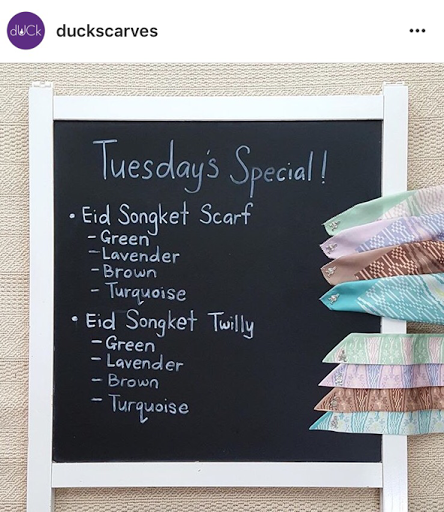 The Songket Duck released in 4 colours . Green , Lavender , Brown and Turquoise . I love the Lavender and Green songket . And~ alhamdulillah . Two Songket Duck is mine . Hahaha . I'm lucky enough because my girlfriends ( Shaz , Dee , Nazlin ) and my husband give me this Songket Duck as my birthday gift . Yeay !! No words can be described when the scarves on my hands . The material is worth with the price . No wonder women crazy about it . Let's see some flatlays done by me for my Songket Duck . Hihihi . 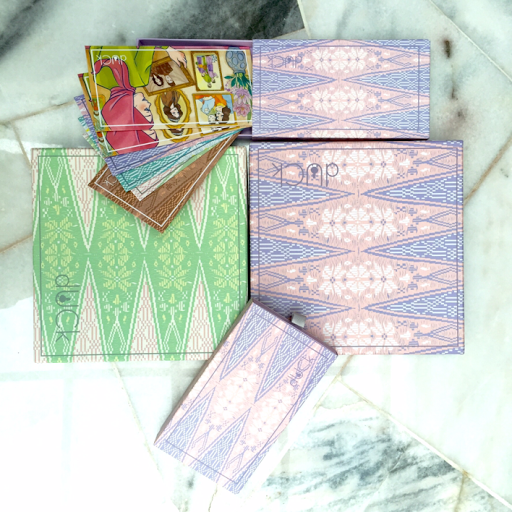 All the Songket Duck comes with the songket sampul duit raya . 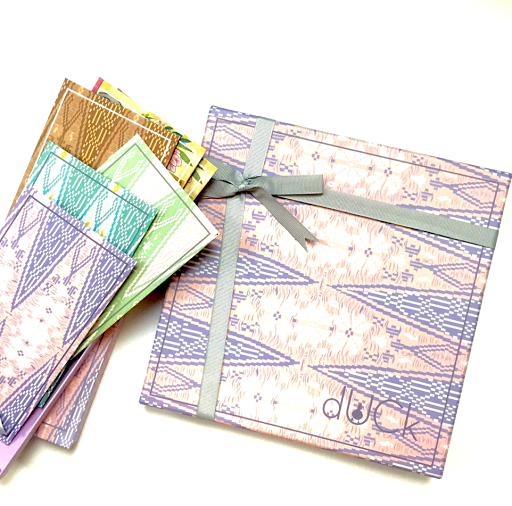 Of course , I will not be using this sampul duit raya. Hahaha . Beautiful right this Songket Duck ? 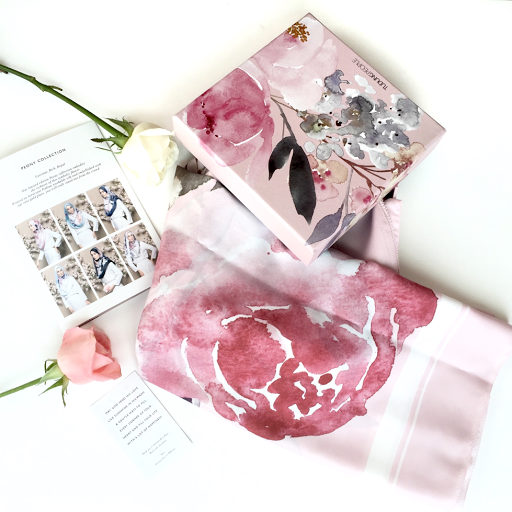 .... You can get the shawl from Fashion Valet website or their Shop in Bangsar Shopping Centre ( BSC ) . Oh , before I forgot. The price of Songket Duck is RM 220 per piece. You also can get the shawl from any personal shopper . Just search in Instagram . There are a lot of personal shoppers offered this services . 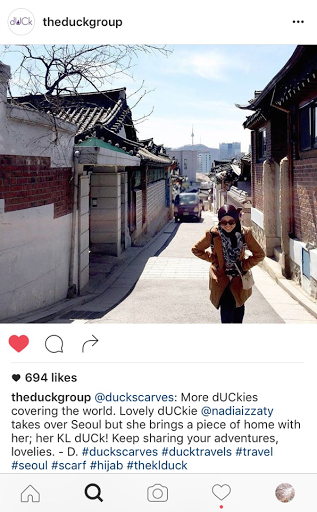 When you are wearing the shawl , just put the hashtag #duckscarves and you may get a chance to be featured. I have done it once . And , got featured . Thanks, Duck . 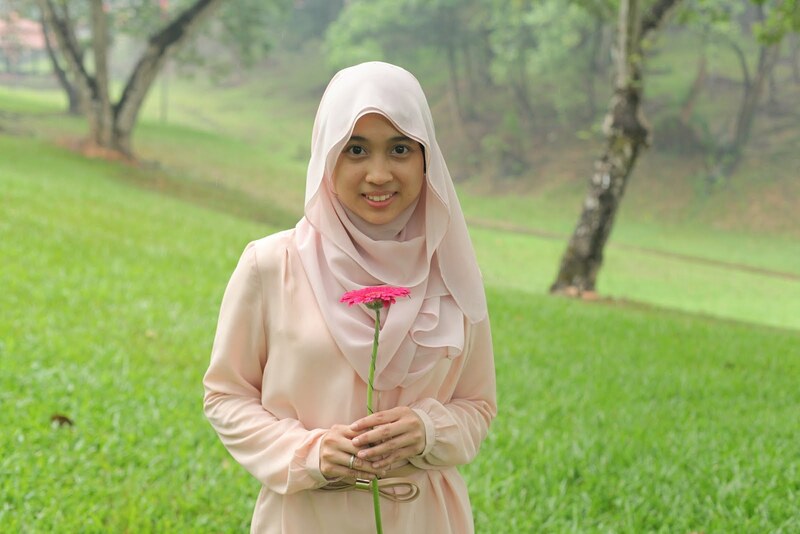 Do you know the talented owner of Tudung People : Fazrena . I've never meet Fazrena in person . I know about Tudung People because my cousin is a friend to Fazrena husband , Bakri ( Bakk ) . I've never had an experience in buying Tudung People before . 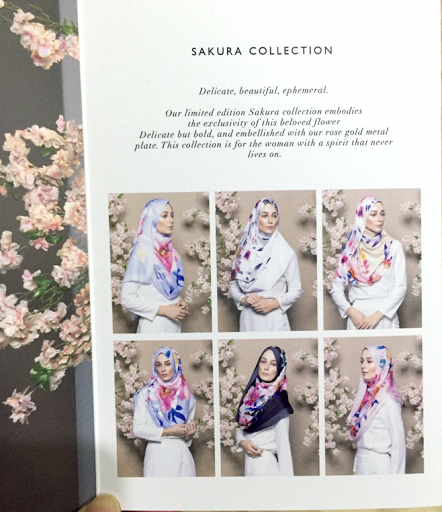 But , this Hari Raya , Tudung people released their Eid Limited Edition Shawl and Scarf . 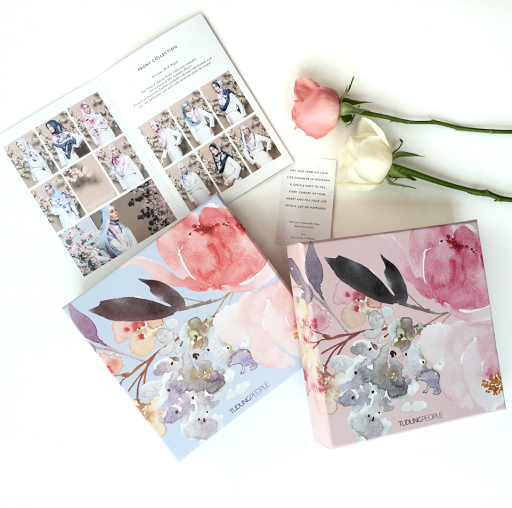 The Peony and Sakura collection . 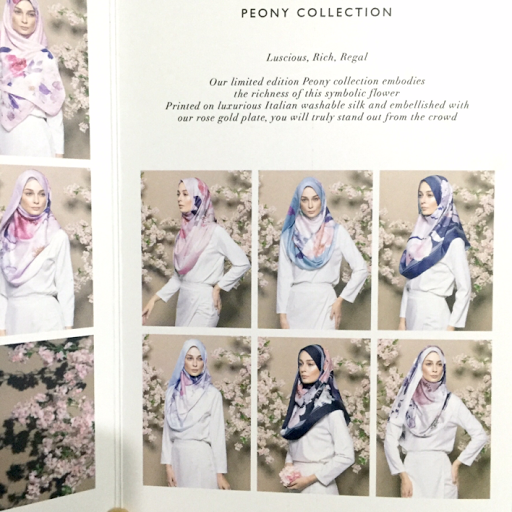 This Tudung People collection is soooo pretty . I love flowers . And , I love something that looks like a painting . 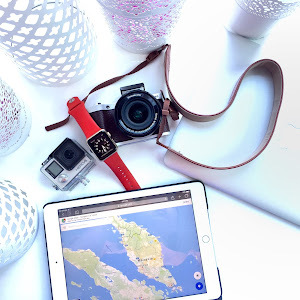 That's why I love batik ( I have blogged before titled : Shop with Zalora >>>> click here to read ) . After , I've seen this Tudung People Raya collection . I totally need to grab this collection . The price of TP shawl is RM 168 per piece . Each collections have 6 colors and design . I've bought two design and colors from Peonies Collection - Peonies in Pink Lemonade and Peonies in Cloud . I love Peonies but never ever once receive a fresh Peonies . Hahaha . It's ok . Peonies on shawl also can make my heart melting . Such a beautiful . It comes with box . The boxes also beautiful . Two colors that I bought . Beautiful right ? I already wear the Peonies in Cloud . I will blog about my OOTD with Tudung People in my next post . Everyone must know about Ariani . Ariani Textile is a subsidiary operated under Jakel Trading . This Raya , Ariani releases Ariani RTW and Galeri Ariani including shawl, scarf , baju kurung , jubah , tops and lot more . 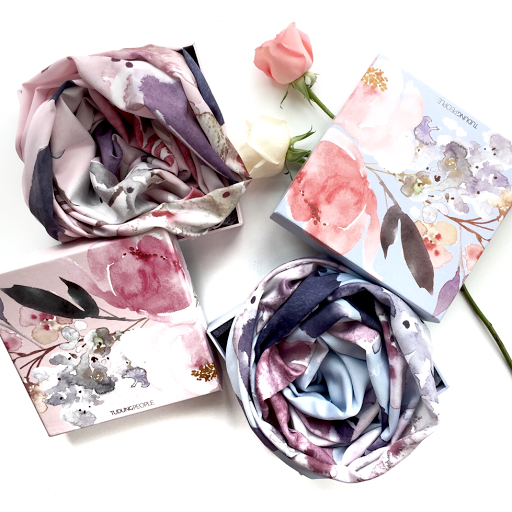 I am attracted to Ariani square scarf series . 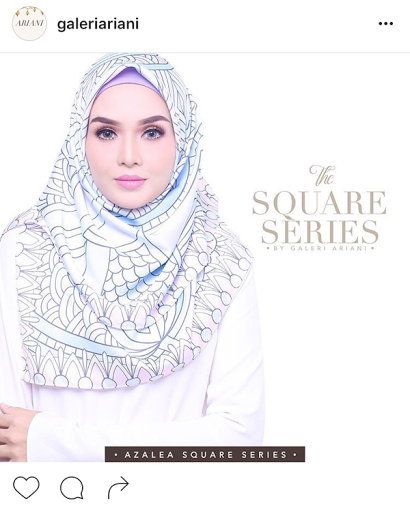 I notice that printed square scarf become trending for this coming Hari Raya . 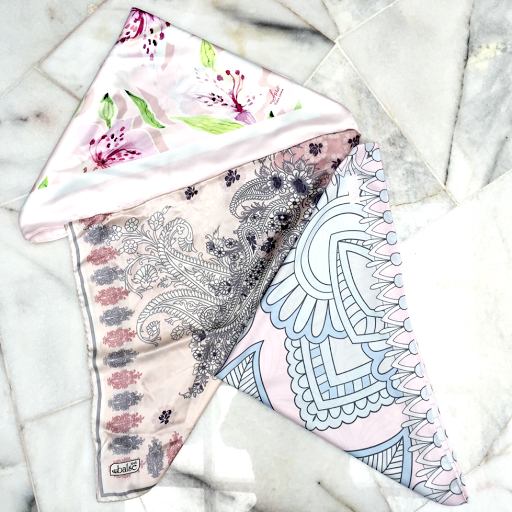 Most of the local brands , fashion shop or boutique come out with printed square scarf . I never buy any of Ariani scarf before . This time , I'm interested in buying one . I love the pattern . And the pastel colors . 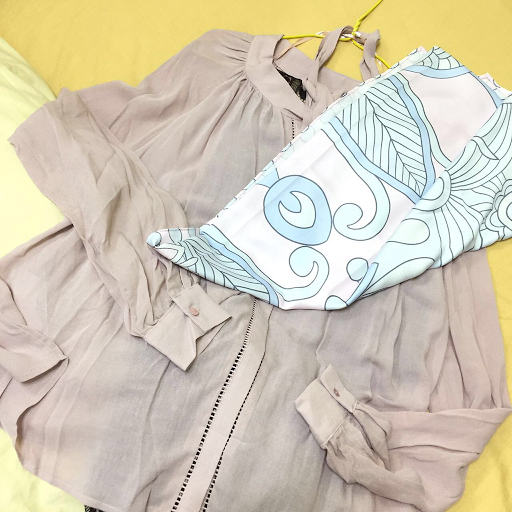 Who have read and followed my blog , must know that I love pastel colors . For me , this printed square scarf have started earlier in Turkey - I've bought one before . And , this year . Printed square scarf become trending in our country which makes me excited enough . 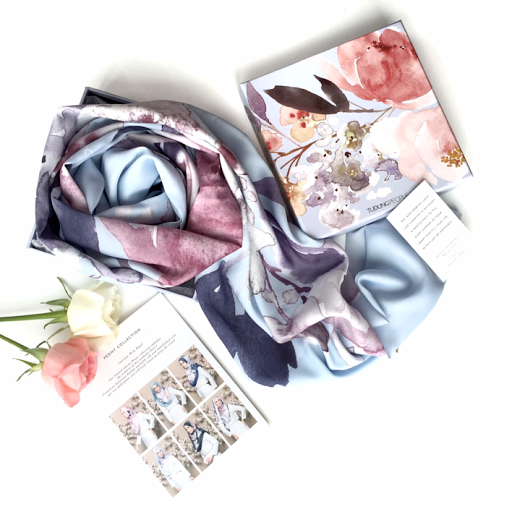 No need to book a flight ticket to Turkey just to buy the beautiful printed square scarf . Hihihi . 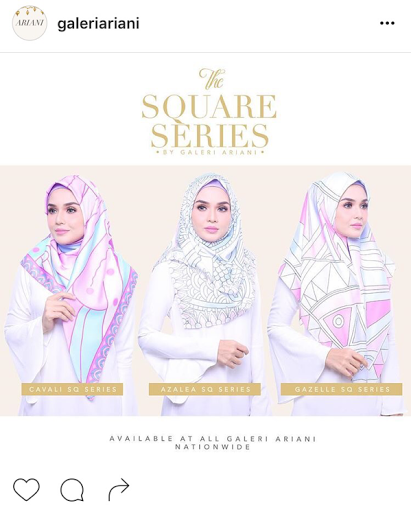 Here the square scarf series from Ariani that I'm attracted to . It matched with my new top I've bought from Mango . I love the pastel pink color. You can check it out @GaleriAriani Instagram for more others collection and design . I've heard they are having a sale . Come on grab some scarf or shawl from Ariani before HariRaya. Here are some pictures of Ariani square scarf I managed to snap with other two square scarfs . Of course , each scarf has a different type of material . I don't know what type of material for Sora KL and Ariani . But , as for Turkey scarf, it is a Satin Silk material. Really soft and flowy . And , need to wash dry clean only . I don't have a selfie picture of me wearing Ariani . Only pictures wearing Sora KL and Turkey scarf . The picture below is the square scarf I've bought in Turkey. Sorry for a bit blur picture . Can't find the original picture . So , I have to screenshot from my Instagram account . Hahaha . After , I've shared three most favourable scarf or shawl brands . Which brands do you prefer among those three ? Or you can share what brands of shawl or scarf that you like . Sometimes, not a well-known brands of shawl or scarf also have a great quality material . And value for money . At least , the scarf or shawl that we choose is comfortable to us . These three brands in this post are just from my point of view and my buying experiences . Semua cantik2 scarf tu, yang songket tu memang menarik,akk tengok juga koleksi fv tapi tak pernah belilah macam tak sesuai dengan akk hehehe..x pandai berfesyen. makk aiii.. sakan nooorr cekkk. heheheh. Semua lawa yank �� Masing-masing ada keunikan sendiri. Lawa lawa! Kannn~ sebab masing-masing ada keunikan tersendiri lah terjadi nya duit ku pun jadi " unik " membeli nya ... Hihihi ... Selamat hari raya , drive safely balik kampung . 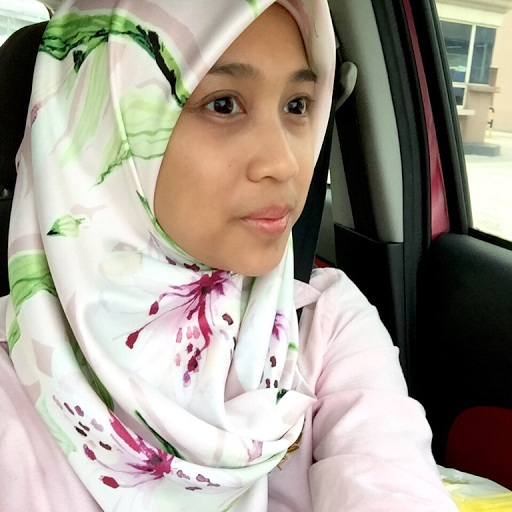 nice post...lovely tudung from Sora KL and Tudung People. 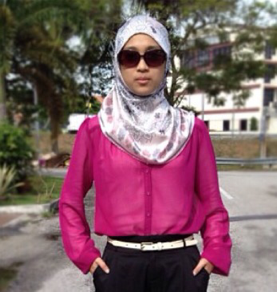 Nice post..love that tudung from Sora KL and Tudung People. thanks. yeay!! you love that two shawl too. aah mmg lah the duckscarves yang paling best tapi now makin lama makin mahallllll sangat. cantik2 semua tudung ni. paling suka tgk duck scarves tu. The telekung that I would recommend with a great quality and beautiful is a malaysia brand name " Siti khadijah " telekung. Shukran for your response. I hope you can feature them. I am currently using NurAishah. The one made with Egyptian Cotton. It’s also comfortable.